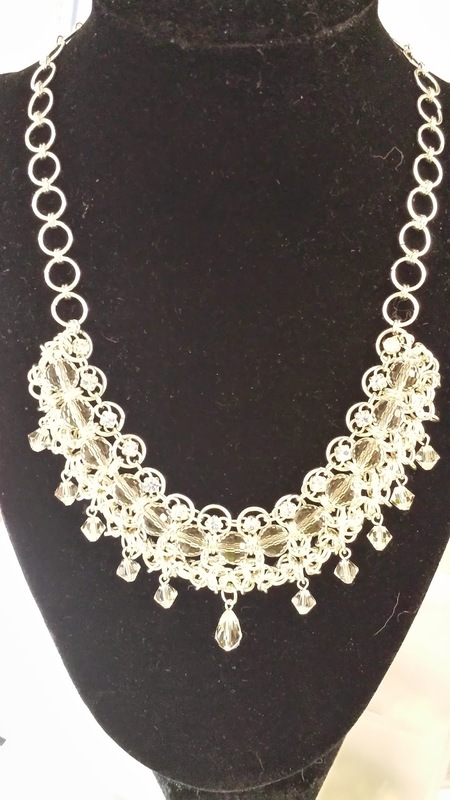 Miss Magooz Jewellery: Chainmaille Again! I have been up to all sorts of interesting things lately. I tend to jump from one technique to another as things catch my eye, and that's the best part! 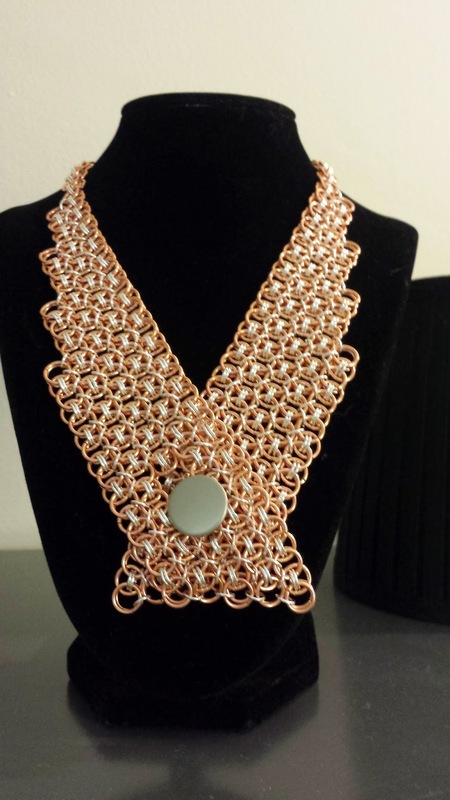 Here is a sample of some of my latest chainmaille creations! This collar-style necklace actually does up in front with a button! And why have just chainmaille jewellery? 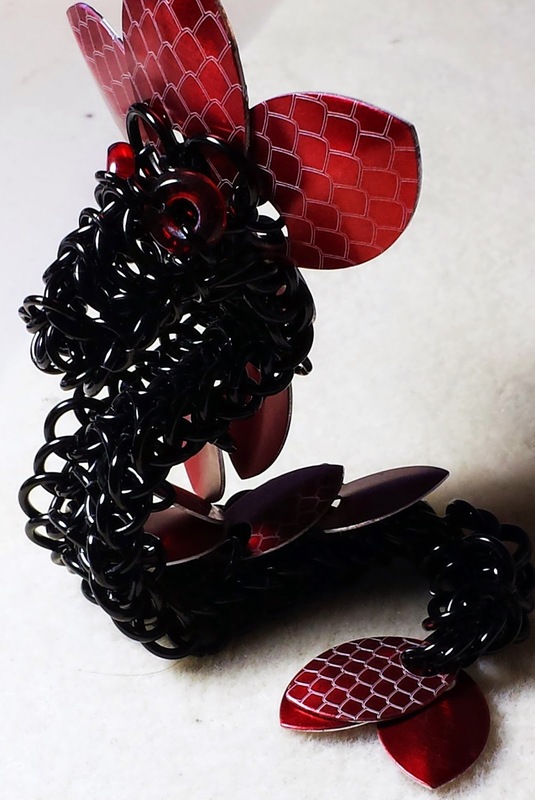 This gorgeous dragon uses a few different weaves and some flashy red scales to create a 3D sculpture! Finally, lets add some bling! Sparkley crystals make this piece a statement and give us an excuse to dress up! That's it for now, please stay tuned for more. I have a lot of catching up to do!